At a crucial point in Mira Nair’s latest film, The Reluctant Fundamentalist, the hero Changez Khan visits Istanbul for work and decides that he will not be a slave to Western capitalism. He will go East instead. And so, Changez gets on a boat that takes him not-so-merrily down the Bosphorus, the strait that has traditionally been a channel between the Occident and the Orient. In case the symbolism wasn’t obvious enough, let’s put this even more plainly: the man who had been balancing an Oriental identity and an Occidental profession takes a ride along a stretch of water that’s between the Orient and the Occident. Geddit? The Reluctant Fundamentalist is a film most of us want to like. Directed by award-winning filmmaker Mira Nair; adapted from the bestselling book by Mohsin Hamid; starring Riz Ahmed, Liev Schreiber, Kiefer Sutherland, Kate Hudson, Shabana Azmi, Adil Hussain and Om Puri – it sounds like a dream team. Plus, Nair’s crew includes award-winning cinematographer Declan Quinn and Bollywood’s own Shimit Amin, director of tightly-plotted films like Chak De India, as editor. With all this going for The Reluctant Fundamentalist, it seems almost ungrateful to feel dissatisfied by it, particularly considering its theme of American Islamophobia. The book and novel are about the uncomfortable pincers of prejudice that closed around South Asians Muslims after 9/11. Years later, this remains a reality for many, from nameless tourists to superstars like Shahrukh Khan, who are considered suspicious only because they are brown and have Muslim names. It’s Ahmed’s portrayal of Changez and he is almost able to charm the viewer into dismissing the film’s problems. But no matter how much you want to cheer for The Reluctant Fundamentalist, the film wilts too quickly and reduces a nuanced story into laboured clichés and heavy-handed symbolism. It begins well. The film opens with the wonderful rendition of the qawwali Kangna by Fareed Ayaz and Abu Mohammad (from the Pakistani Coke Studio). 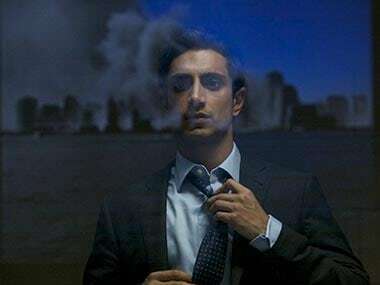 Accompanying the song are shots of an American man being kidnapped, an office being vandalised and Changez Khan (Riz Ahmed) secretly talking on the phone. It seems Changez is hiding something and the montage suggests he may be connected to the kidnapping. At least that’s what the CIA think and since Changez’s photo is on the big board on which they’ve pinned all the clues they have about the case, Changez must be suspicious. Never mind the fact that there's only the most tenuous connection between him and the suspected mastermind behind the kidnapping, Mustafa Fazil (Adil Hussein). Just as the Americans are suspicious of him, Changez is hyper cautious about Americans. 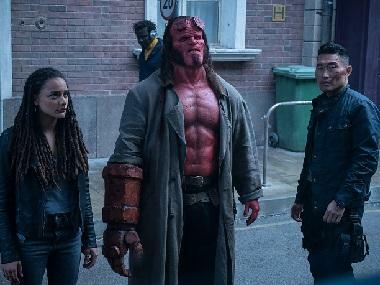 So when he agrees to meet American journalist Bobby (Liev Schreiber) for an interview, Bobby is told to come to a tea shop that’s manned by swarthy men who look and behave like they’re Changez’s henchmen. While Bobby tries to get Changez to reveal all where the kidnap victim is, Changez tells Bobby the story of his life. The Reluctant Fundamentalist’s heart may be in the right place, but the profusion of stereotypes doesn’t help its cause. Changez is a scholarship-holding South Asian student who is determined to make good money by working in financial services. The CIA is misinformed and trigger happy. Pakistan is filled with American spies and men who have moustaches and kohl-lined eyes. It’s not that these clichés are untrue – a large number of South Asians do indeed join financial services; the CIA is frequently clueless; and Pakistani men may well like their kohl – but the film lacks the nuancing that’s essential for stereotypes to become rounded characters and feel credible. Those who have read The Reluctant Fundamentalist may be wondering whether Nair read the same book they did. The novel is a conversation between Changez and a mysterious stranger who may be Changez’s enemy or protector. Presumably in an effort to be dramatic, when Hamid wrote the “screen story” with Ami Boghani, they decided to add elements like the kidnapping, a CIA surveillance unit and a hash-loving American reporter. Perhaps they felt that the meandering conversation that made the novel intriguing would seem too directionless in a film. It has an unfortunate side effect: whereas the novel was all about Changez’s perspective, the film is an American perspective – we’re shown Changez, Pakistan and all the events of the story from the American journalist’s point of view. You’ve got to wonder whether we needed a South Asian director to show us this worldview when Hollywood is out there. If you forget the politics and just look at the film, The Reluctant Fundamentalist doesn’t fare much better. It’s a thriller that lacks tension and suspense. Nair is neither a Kathryn Bigelow nor a Ridley Scott. Look at her filmography, and it’s obvious the director of films like Salaam Bombay, The Namesake and Monsoon Wedding is at her best when she’s exploring emotions. With soldiers, guns and violence, she’s on unfamiliar ground and consequently, the CIA unit in The Reluctant Fundamentalist is about as credible as the Russian enemies in the old James Bond movies. Ultimately, it’s not the dramatic additions forced into the plot that keep you interested in The Reluctant Fundamentalist. 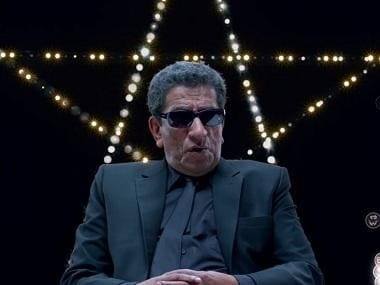 It’s Ahmed’s portrayal of Changez and he is almost able to charm the viewer into dismissing the film’s problems. From The Road to Guantanamo to Four Lions, Ahmed has played many variations of the Muslim terror suspect. His finest performance so far is still Four Lions, but he does manage to hold The Reluctant Fundamentalist together to a large extent. Unfortunately, the story lets him down because despite a few scattered moments – like when Ahmed smirks like a comic book villain while watching the towers crumble during 9/11 – Changez never seems to be anywhere close to espousing fundamentalism. Add to that a kidnapping we don’t care about, a doomed love story that the director and scriptwriter didn’t care about and you’re watching a film that quickly becomes tedious.